We understand and appreciate the financial commitment and sacrifice that families undertake in deciding to send their children to a Catholic school. 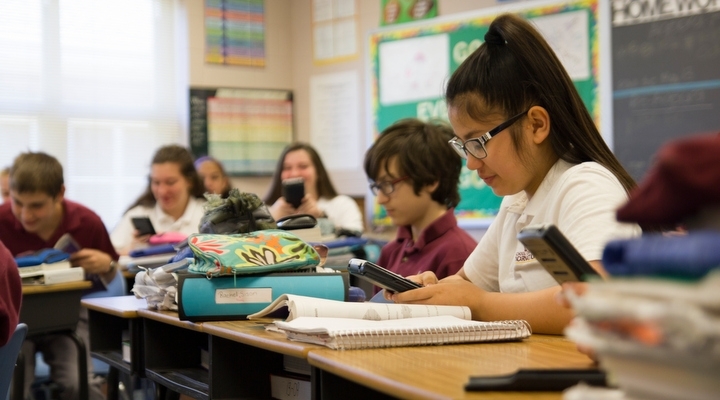 Although paying for education is first and foremost the responsibility of a family, each school, parish and the Archdiocese of Baltimore devote significant funds each year to financial aid programs that help assist families. In turn, our school communities benefit by attracting students that otherwise would not be able to attend our schools. Financial Assistance is available through the Archdiocese of Baltimore, School of the Incarnation, and some parishes. Families interested in applying for tuition assistance from any of these sources must complete a financial aid application through FACTS, our tuition payment service. Visit FACTS for more information and to access the Grant and Aid application which opens each fall for the following year. The deadline to apply for assistance is February 28th for aid from the Archdiocese of Baltimore and March 31st for aid from School of the Incarnation. Parents may submit an aid application prior to receiving an offer of acceptance; however, financial aid decisions will not be available until late spring. Please contact the Business Manager, Caroline Agresti at 410-519-2285 ext. 2102 for more information or follow the below link under FACTS to complete your application online. This scholarship is traditionally funded by donations from current and past School of the Incarnation board members. Each year, three $1000 scholarships will be awarded, one each to a current 5th, 6th, and 7th grade student to be used toward the following year's tuition. Applications are made available on the school website (under Resources) each spring. The Foundation’s Young Scholars Program is designed to nurture exceptional students who have demonstrated, through academic excellence and extracurricular activities that they have the potential to excel. Students apply for the program in 7th grade, enter the program in 8th grade, and continue through high school. Applications are typically due in mid-April. For more information and to apply online, visit http://www.jkcf.org/scholarships/young-scholars-program. The Daniel Rudd Scholarship Fund is administered by the Office and Board of African American Catholic Ministries of the Archdiocese of Baltimore. The Scholarship named after the founder of the National Black Catholic Congress is open to low income Catholic students currently residing in the metropolitan area of Baltimore and enrolled in a Catholic Elementary or High School within the Archdiocese of Baltimore. For more information, call (410) 625-8472 or email AACM@archbalt.org. Sponsored by the Gary Lee Ryon Jr. Memorial Foundation, Inc., scholarships are awarded to 8th grade students accepted into a Washington or Baltimore Catholic high school. For more information, please email Betty Ryon at eryon0037@aol.com. Applications must be postmarked no later than May 1st of the applican'ts 8th grade year. Awarded through the Institute for Educational Advancement, the Caroline D. Bradley Scholarship is awarded to exceptionally gifted middle school students who have demonstrated academic and personal excellence. The application process takes place when the student is in 7th grade. For more information, visit The Institute for Education Advancement website. The Polish Heritage Association of Maryland offers a scholarship to high school and college students of Polish descent. For more information, visit The Polish American Heritage website. Designed to assist sons and daughters of members of the Knights of Columbus in paying tuition at accredited Catholic high schools, three grants of $1,500 per year, for up to four years, will be awarded. Awards are made on the basis of acedmic excellence, personal qualifications, and financial need. Three grants of $1,500 per year for up to four years will be awarded. Open to Catholic student officially accepted at (or students at) accredited Catholic high schools in the jurisdiction of the Maryland State Knights of Columbus. Eligibility is open to Catholic students who are residents of the state of Maryland, and to children and grandchildren of a member of a Knights of Columbus council within the jurisdiction of Maryland. Applications are judged on academic excellence, personal qualifications, and financial need. This scholarship, awarded through The Colleen and Erin Scholarship Fund, is intended to recognize the significant sacrifices made by teachers and administrators who have accepted God's call to the ministry of Catholic education. To be eligible to apply, a student must be a dependent of a full-time teacher or administrator with 3 or more years in a Catholic elementary or high school within the Archdiocese of Baltimore. The student must be entering as a freshman at a Catholic high school. For more information, visit www.colleenanderin.org.